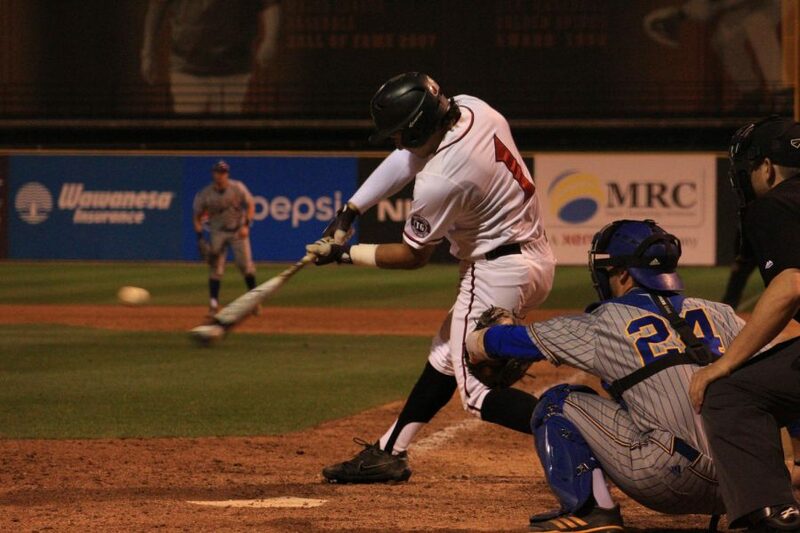 Sophomore outfielder Julian Escobedo connects for an eighth inning home run during the Aztecs 5-4 victory over CSU Bakersfield on March 20 at Tony Gwynn Stadium. 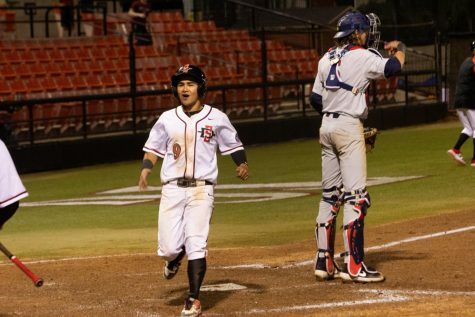 San Diego State baseball pulled off a thrilling come-from-behind-walk-off victory Tuesday night, scoring two runs in the bottom of the ninth to outlast CSU Bakersfield, 5-4. 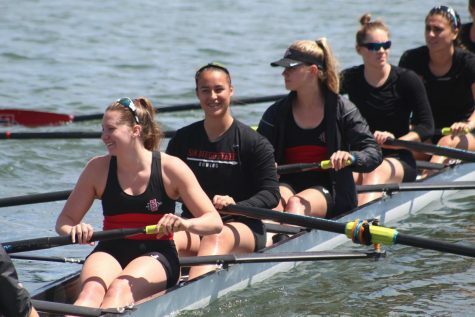 The win puts the No. 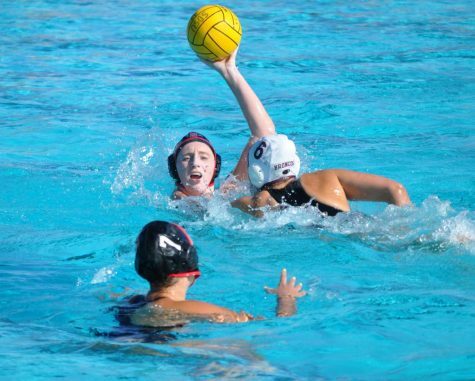 25 Aztecs at a 14-6 record, while the Roadrunners’ fall to 9-13 on the season. It’s the first time the two schools have ever played each other in baseball. Junior catcher Dean Nevarez was the hero of the affair, singling to right field with two outs in the last frame to drive in the winning run. 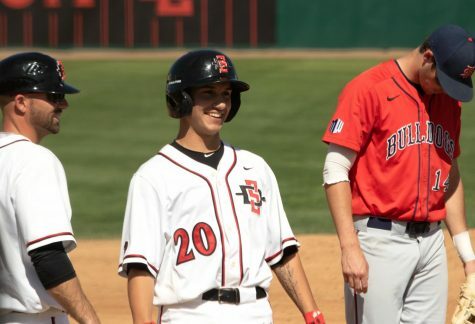 SDSU initially took advantage of a couple of miscues by Bakersfield’s defense to load the bases for the number five hitter. After a hit-by-pitch led off the inning, freshman outfielder Matt Rudick laid down a sacrifice bunt up the first base line that was misplaced by the first baseman; as he tried to grab the ball with his glove and tag Rudick out, the ball did not stay in and the freshman was able to get on base. In the ensuing at bat, senior shortstop David Hensley got a sac bunt down as well. The pitcher, senior Naithen Dewsnap, attempted to get the lead runner at third but threw the ball away for the second error of the inning. That error allowed the pinch runner, senior Denz’l Chapman, to come home to tie the game. The Roadrunners’ were the first to take advantage of defensive lapses by the opposing team, however. 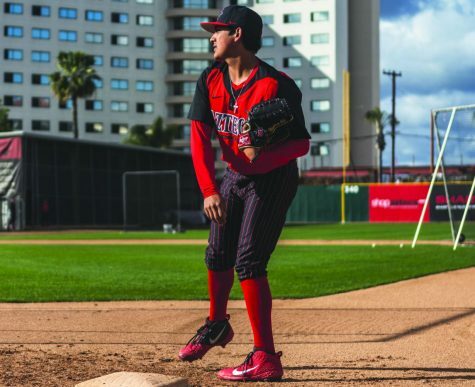 SDSU held on to a 2-0 lead until the seventh, when Bakersfield cut the deficit in half on an RBI single against freshman southpaw Christian Winston. In the next inning, they took the lead on back to back errors from sophomore second baseman Jacob Maekawa and freshman pitcher/third baseman Casey Schmidt that prevented a potential double play and later allowed the runner to advance to third. Three unearned runs would come around later in the inning as the Roadrunners took a 4-2 lead. The bottom half of the frame saw sophomore outfielder Julian Escobedo cut into the lead with a bomb over the right center field wall off of Dewsnap. 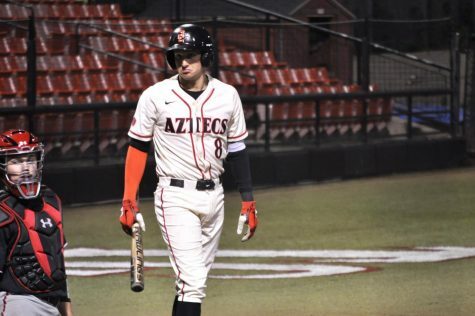 The Aztecs originally took the 2-0 lead thanks to an RBI double from Maekawa in the second inning and a steal of home by senior outfielder Chase Calabuig, who took advantage of miscommunication from the Roadrunner defense after senior designated hitter Chad Bible attempted to steal second base. After some confusion as to whether or not it was a balk, Calabuig raced home before the Bakersfield second baseman could throw it in time for the second run of the game. 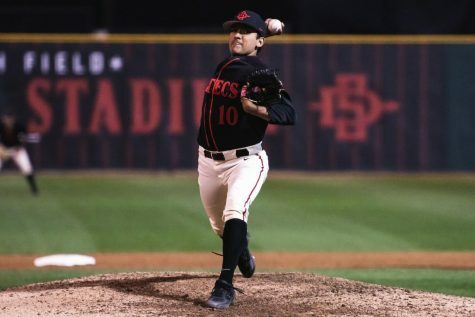 Eight separate pitchers took the mound for the Aztecs, with four of them providing scoreless appearances. Just one of the runs in the game was earned, and sophomore Adrian Mardueno came away with the win after striking out the side in order in the ninth inning. Six of those pitchers were all underclassmen as well. 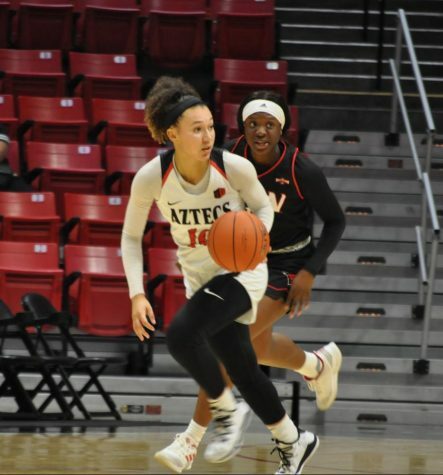 The Aztecs will get quite the situation to handle this weekend as they travel to Las Vegas to take on UNLV starting March 23. The Rebels currently sit atop the Mountain West with a 5-1 conference record to go along with a sparkling 18-3 overall record.